When it comes to a golf cart battery charger that is not working, a lot of owners tend to assume that there’s something wrong with the equipment. But believe it or not, in most cases where the charger is refusing to do its job is due to a battery issue. In situations like this, repairs are not required since there are no damages to be repaired. Normally, if the charger was working the last time, it was used, and it suddenly refuse to work. 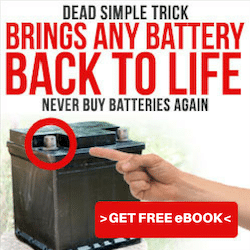 ​The problem is caused by a depleted battery, deeply discharged power cell or a flawed connection. To help you identify the issue, this article will provide you every detail and information you need to learn the basics of golf cart battery charger troubleshooting. It will give you a complete overview of how to troubleshoot a charger that doesn’t work. Allowing you to pinpoint what is causing your equipment to refuse its job. 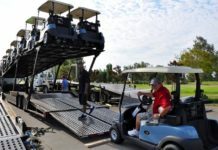 This guide will also give you a brief background on how golf cart battery chargers work to fully understand the entire troubleshooting process and will provide you the basic steps that you can do to try to address the issue and make everything work. Now, let us start by learning the basics and understanding how golf cart battery chargers work. There are two main of deep cycle or golf cart battery chargers used today and is familiar with both of them will help you in troubleshooting. 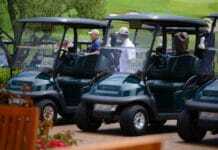 Most of the state of the art or modern golf carts today use Automatic battery chargers. While the older or outdated carts still use the Non-Automatic chargers. You have to keep in mind that both of them have the same goal and function but operating them are slightly different. Automatic chargers are considered to be smart equipment that has to detect a specific charge level or “nominal voltage” within the battery for it to start.  If the battery is deeply discharged and the voltage left in it is lower than the nominal voltage, the charger will not start. On the other hand, non-automatic chargers usually feature an On-Off switch and a Timer knob. They are manually operated where the user will manually turn it On or Off and set the hours of the charging process using the knob. Now that you are familiar with the two types of battery chargers. You now have the right knowledge to troubleshoot a charger. When it comes to automatic chargers, finding out if the problem is in the battery is a bit easier. But for non-automatic chargers, you will have to rely on the front dashboard to spot the issue. Old charger systems are designed to turn on and try to charge the connected battery regardless the level of charge or voltage. Modern chargers are equipped with a more sophisticated system and a smarter board. 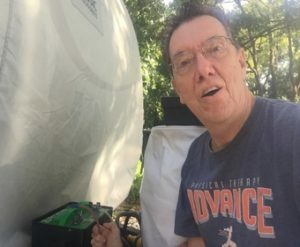 If they can’t detect a certain amount of charge or voltage from the connected power cell, they will not turn on. If the power cell that you are trying to charge is already depleted, automatic chargers will not start. For non-automatic chargers, you have to check the charger’s ammeter. Keep in mind that every charger initially starts the charging process by providing 15 amps. If the battery that you are charging reaches its full capacity, the ammeter should dropdown instantly. Once the ammeter is not going higher than the 15 amps, yet you know that the battery needs to be charged. Then you can assume that problem is in the charger. To make easier to understand, automatic chargers will refuse to work if they can’t detect the nominal voltage on the battery. This means that the battery is deeply discharged or depleted. If the battery has enough charge that the charger should detect and still refuses to work, check the connection and all the cables for flaws. If the connection is true and still the charger won’t start, then there may be something wrong with your charger. 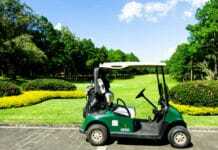 (Check this useful golf cart battery charging tips). When it comes to the older non-automatic chargers, you can determine if the battery you are trying to charge has a problem through the ammeter. These chargers are designed to start and try to charge a connected battery once they are turned on, regardless of the charge on the battery. If the ammeter doesn’t show an increase in value which is the amount of current provided to the battery, it may simply mean that your charger is faulty. To find out the problem with your charger, here are the main components that commonly cause charger failures. Any failure to those individual components may lead to charger failures. The problem might be a case of a busted ammeter where the charger is still working and charging the battery, but the ammeter is showing the wrong reading. Whatever it might be, the best option for you is to get your charger checked out. 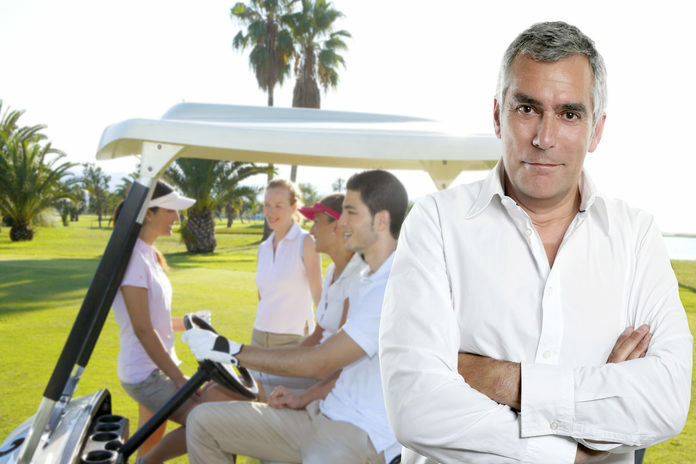 When it comes to testiong your golf cart battery charger​, having the basic knowledge and background of how they work is one of the keys to be successful. If you don’t have any idea about these chargers, you can simply refer to this guide to help you figure out why your charger is not working as it should be.